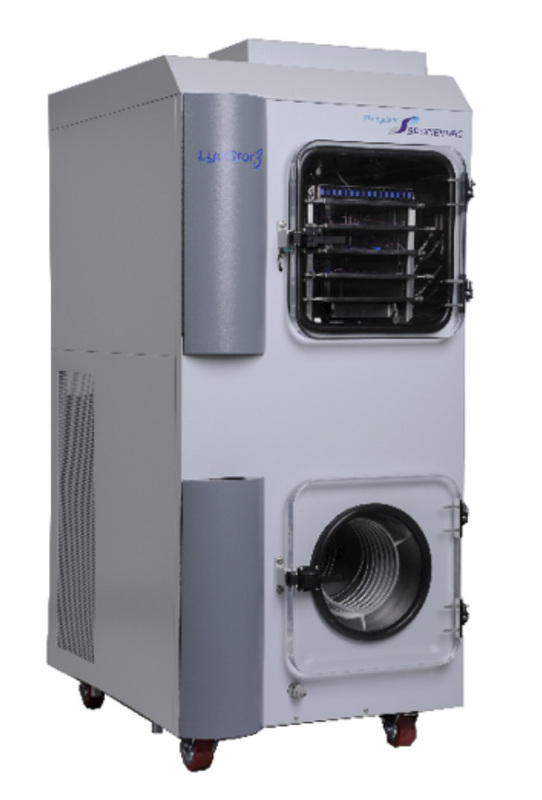 LyoStar 3 is the ultimate cycle development, optimization and scale-up tool for R&D professionals delivering pin point process control and robust reliability to protect valuable product. A “go-to work-horse” for cycle development and cycle optimization activities, LyoStar 3 can be equipped with scalable technology and PAT tools such as ControLyo, SMART, AutoMTM and TDLAS. The SMART and AutoMTM PAT tools substantially decrease cycle development time, conserves valuable API and generates the data for product and process understanding to further scale the process to commercial batches. It delivers increased process and product understanding, such as how different freezing protocols impact cake resistance and generates data including the product temperature profile, so the information can serve as a target going in to larger freeze dryer equipment. LyoStar 3 also operates with the latest LyoSTM Control Software.